By default, line managers and all admins are able to approve expenses for employees, but in some companies this might not be the desired structure. 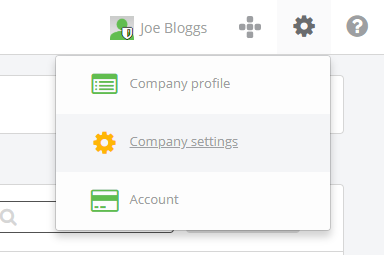 In Staff Squared it's possible to define additional members of staff as expense approvers even if they're not managers or admins. 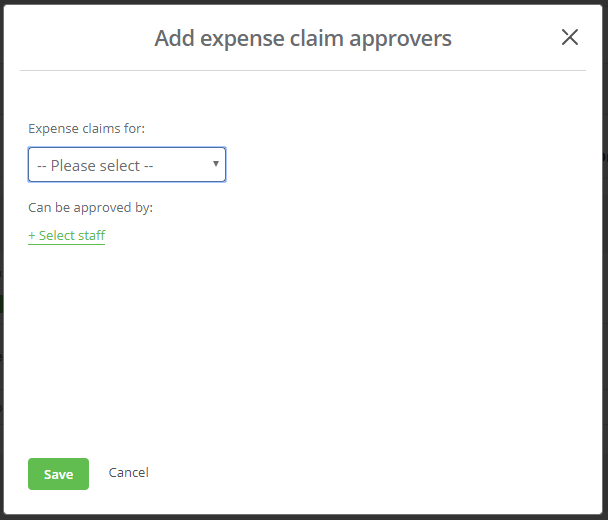 At the top of the page you'll see a section for Who can approve expense claims. To allow additional approvers, first turn on the toggle switch. Clicking the Add button will generate a new dialog. 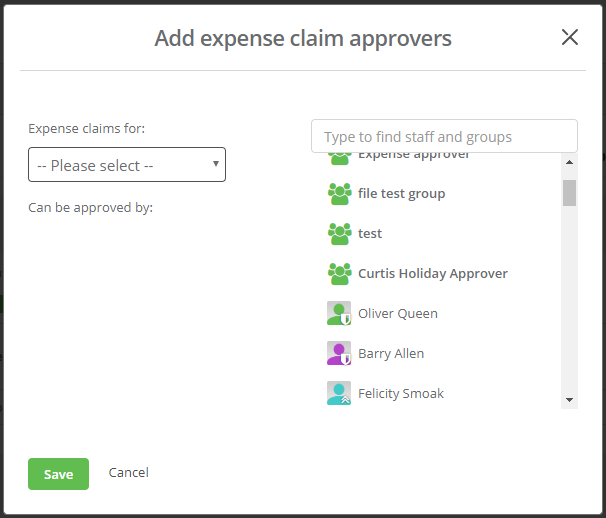 Here you can select which staff member you'd like to approve Expense claims for and who they Can be approved by. Clicking + Select staff will show the staff picker, where you can choose either groups or individual staff to approve the claims. Once you've added the approvers, click Save, and this will show in the approvers list.